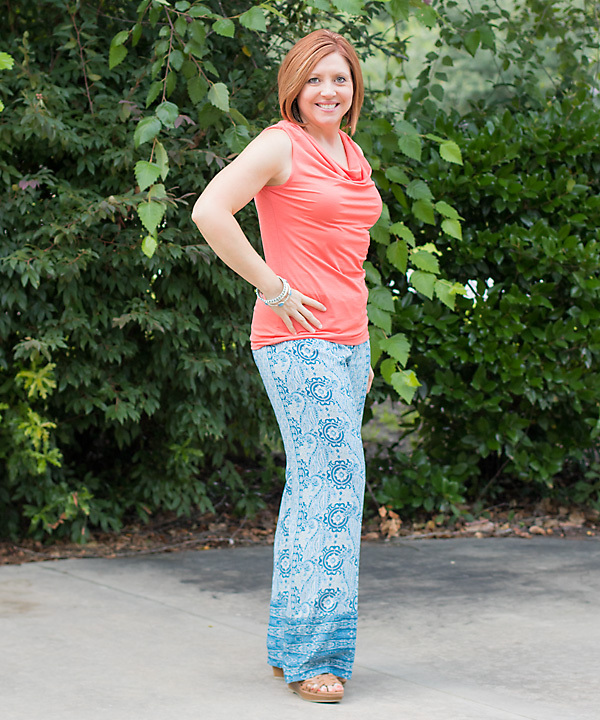 Are you a fan of palazzo pants? When the trend first came back around, I said no. But thanks to the GYPO Summer challenge I ended up adding a pair back to my wardrobe. I say “adding back” because I wore these 15-20 years ago. And loved them! I just didn’t think I could justify purchasing something I couldn’t wear to work now, but then I decided I could wear these to church, or out to dinner. 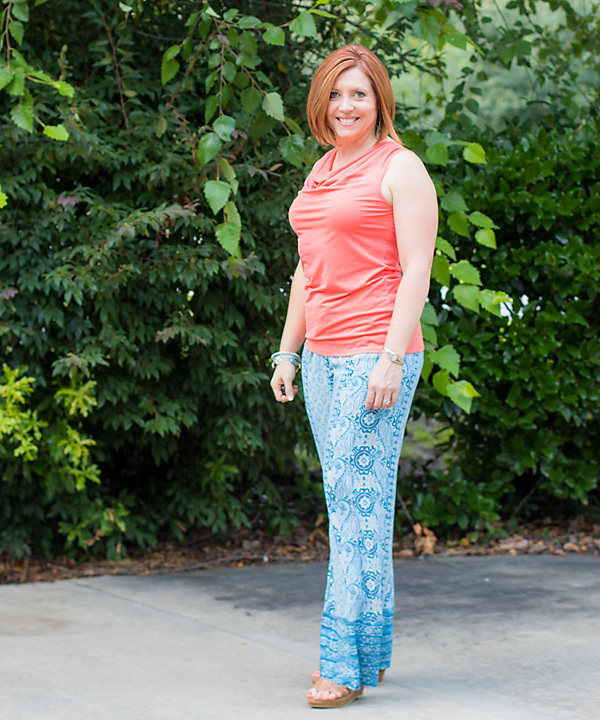 So…palazzo pants it is. This was Day 8 of the challenge. They were supposed to be paired with a flowy tank and metallic sandals, but mine are too long for flats and I like this shirt better with this pair than with any of my knit flowy tanks. I do have a dressier, chiffon flowy tank to pair with these later, but was having an undergarment (bra) issue this particular evening so this shirt won. Ever have that happen? Bra straps? Wrong color glaring through? I also want to say welcome and thanks for following to any of the ladies that may be new to my blog from the challenge group. You are an awesome group of ladies!